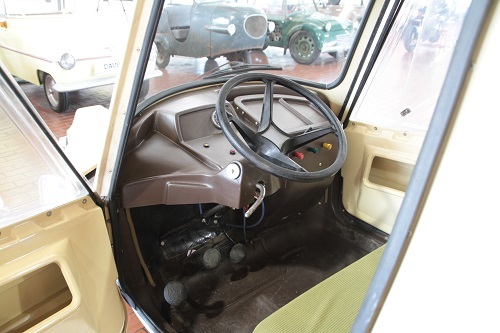 SEAB (Societe d'Exploitation et d'Application des Brevet) was perhaps best-known as the manufacturer of the plastic bodies used on Citroën's Mehari, but they later became a manufacturer of vehicules sans permis, or "unlicensed" microcars - cars small enough to not require the legalities of full-sized autos. Located in the southern Paris suburb of Villejuif, it seems fitting that SEAB would turn to the production of plastic-bodied cars. 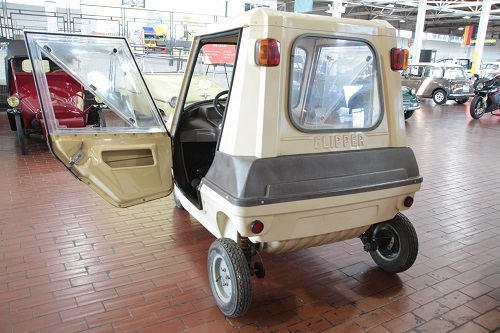 The Flipper was eventually produced in three models - I, II, and III. The Flipper I seen here was different from all other micros in that the entire front axle rotated about a central pivot. To go into reverse, one simply turns the steering wheel all the way 'round! It looks odd (and it is!) but it works. The engine turns with the axle, so all the wiring and plumbing is fed through a large sleeve to keep binding to a minimum. 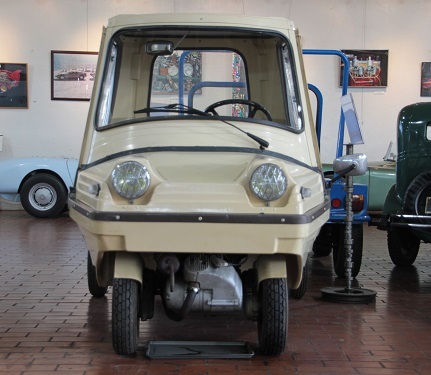 The plastic-bodied and acrylic-windowed Flipper is powered by a 47cc Sachs Adlx air-cooled engine coupled to a two-speed automatic, adequate for the tiny car. 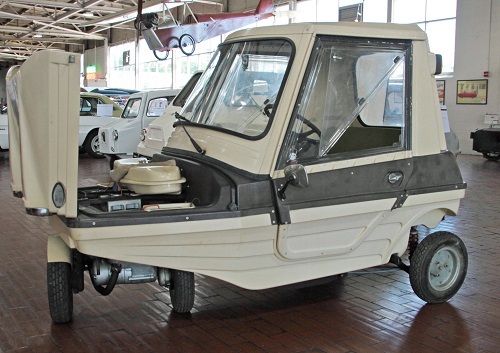 Available options included ungainly add-on fiberglass "humps" front and rear for traffic protection and extra carrying capacity, and "fins" at the rear to protect from parking lot mishaps. Beige, brown, or a combination of the two were the only colors available. The Flipper I was replaced by a slightly more conventional Flipper II in 1980. 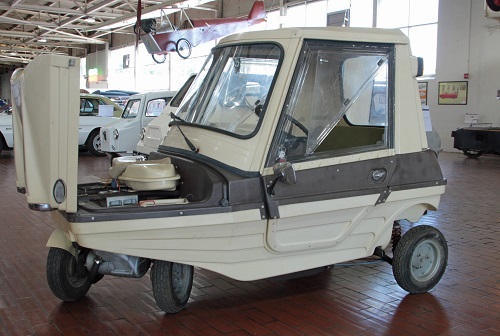 A Flipper III was shown in 1984, but never entered production. A unique variant, the Donky, was also sold for a short time. Missing doors, roof, and windshield, the Donky was an interesting beach car. SEAB ceased operation in 1984.